In a statement released on Monday, the Pentagon announced Acting Secretary of Defense Patrick Shanahan has authorized the “U.S. 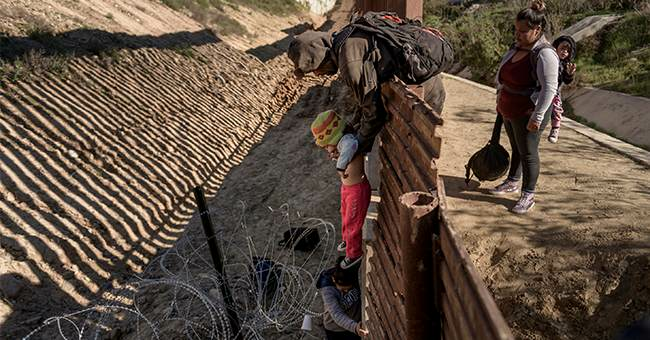 Army Corps of Engineers to begin planning and executing up to $1 billion” to build new walls and reinforce the U.S.-Mexico. “These funds will be used to support [Department of Homeland Security’s] request to build 57 miles of 18-foot-high pedestrian fencing, constructing and improving roads, and installing lighting within the Yuma and El Paso Sectors of the border in support of the February 15 national emergency declaration on the southern border of the United States,” the statement added. In a list of projects the Department of Defense released last week, they revealed up to $4.3 billion can be diverted in order to help build the wall. The statement comes as Reuters also reported on Monday a new caravan of around 1,200 migrants, from Central America and Cuba, have begun to move towards the U.S. from southern Mexico.